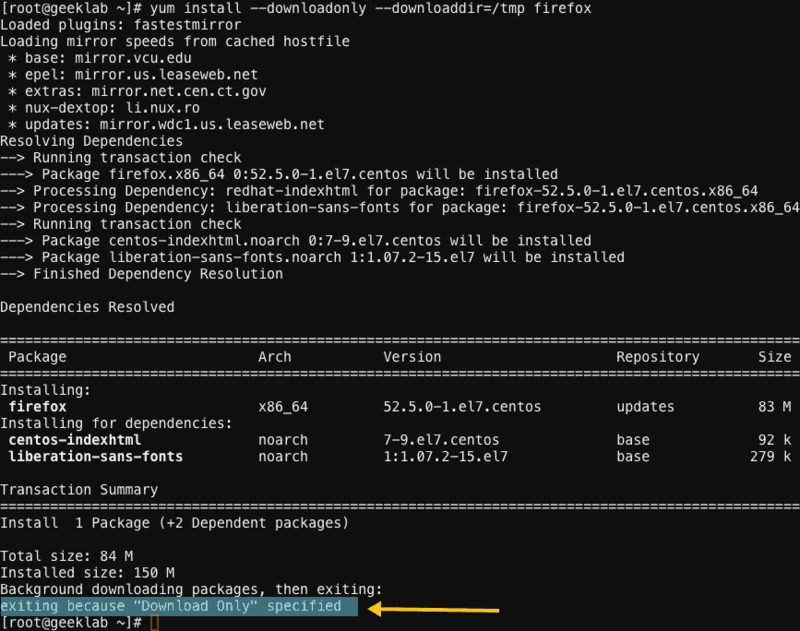 The firefox package gets downloded into the specified /tmp directory. Confirm the RPM files are available in the specified download directory. Note: If only the package name is specified, the latest available package is downloaded (such as sshd). Otherwise, you can specify the full package name and version (such as mutt-1.5.21-27.el7.x86_64). The “yumdownloader” command is particularly useful when you want to download a package which is already installed on your system. 2. Run the command followed by the desired package. For example to download a package for mutt which is already installed on the system, use the below command. 3. You would find the latest mutt package downloaded in the current working diretory. Note: Be sure to add –resolve to the yumdownloader utility, if you need to download dependencies.